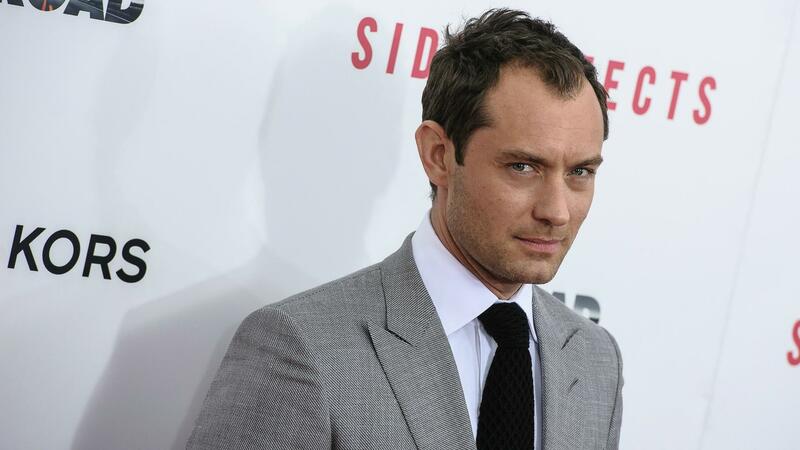 Jude Law is expecting baby No. 5 with baby mama No. 3, his rep confirmed Thursday to People. And, it would seem, when it comes to procreating, the English actor has a type. Here’s what we uncovered. It’s no secret Law does pretty well with the ladies, so we concede he’s very likely been with women with hair of different hues. But when it comes to making babies, the Cold Mountain star prefers ladies with dark locks. Ex-wife Sadie Frost, with whom Law has three kids; ex-lover Samantha Burke, with whom he has daughter Sophia, 5; and 5-months pregnant ex-lover Catherine Harding all have dark brown tresses. Sometimes you hear stories of celebrity love children that are the result of dalliances with women who are in no way in the public spotlight — Matt Damon met his wife Luciana by chance when she was a bartender. Law, though, likes his baby mamas to be in the entertainment industry or at least on the fringe of it. He met Frost when they costarred in the 1994 film Shopping. Her résumé also includes modeling, producing and cofounding her own fashion line. Burke is a model as well, and baby mama No. 3, Harding, is a singer-songwriter who goes by the stage name Cat Cavelli. None, coincidentally, are nannies. Despite being his most publicized relationship, Law managed not to knock up Sienna Miller in all their years of dating. The two met in 2003 while filming Alfie and, after become the tabloid’s favorite couple, became engaged on Christmas Day of 2004. Less than a year later, Law admitted he had been carrying on with the nanny of his children with baby mama No. 1, Sadie Frost. The two didn’t fold right away, instead hanging in there until November of 2006. Three years later, in December of 2009, they rekindled their relationship. They spent an idyllic holiday in Barbados that Christmas (could’ve been a great “babymoon”) and seemed relatively happy until February of 2011, when they reportedly called it quits for good. With his track record, it’s kind of amazing Law didn’t impregnate Miller in all that time. Perhaps because she’s not a brunette, eh?